Mankind has developed through the centuries precious traditions and knowledge concerning the art of fermentation. The issue of fermenting grapes, malt, rice or barley has generated a quest for experience, knowledge, tradition, aesthetics, taste and pleasure. Cantina Valpolicella Negrar (Verona) was funded in 1933 in one of the world’s most prolific regions for viticulture. The winery, under the trademark Domini Veneti®, is located among the worldwide top labels, excelling in producing classical wines such as Valpolicella, Recioto, Ripasso and Amarone. What kind of architecture can be proposed in order to host and promote a culture related to one of the most ancient but most contemporary human activities? 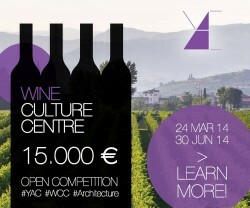 This is the challenge YAC offers the designers, proposing to transform Valpolicella’s old winery into an architectural manifesto – carrier of quality. A place for culture, training and tasting, a facility open to those novices or experts who will to approach one of the most fascinating human expressions: wine. architects, designers, students, graduates, postgraduates, professionals.